Over the last 6 months, Fabien Girardin has been working in a rather unique position at BBVA Data & Analytics, a center of excellence in financial data analysis. My job is to make the design of user experiences reach a new frontier with the emergence of machine learning techniques. My responsibility — among other things — is to bring a holistic experience design to teams of data scientists and make it an essential part of the lifecycle of algorithmic solutions (e.g. 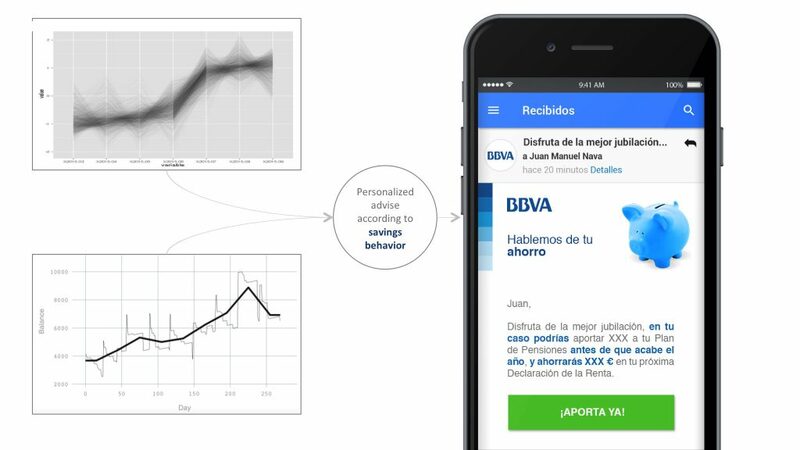 predictive models, recommender systems). In parallel, I perform creative and strategic reviews of experiences that design teams produce (e.g. online banking, online shopping, smart decision making) to steer their evolution into a future of “artificial intelligence”. Practically, I boost the partnerships between teams of designers and data scientists to envision desirable and feasible experiences powered by data and algorithms. Fabien Girardin (PhD) is a researcher, engineer and creator who co-founded the Near Future Laboratory, a micro-multinational design and research agency based in California and Europe. He also works at BBVA Data & Analytics, a center of excellence in financial data analysis, where he leverages his broad and comprehensive understanding of both computational constraints and human behaviors to transform machine learning algorithms into user experiences that are future forward.